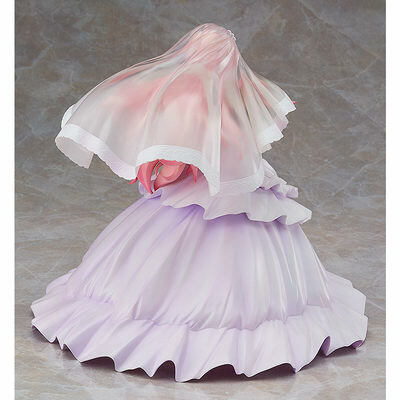 August 9th, 2018 By: GGT Category: 2019/03 release, Figure News. 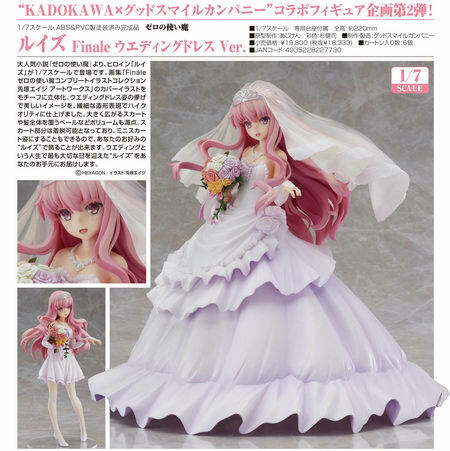 KADOKAWA is going to release the Louise ( ルイズ ) Finale Wedding Dress Ver. (Finale ウエディングドレス Ver.) 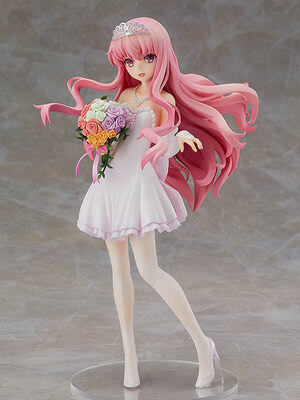 1/7 PVC figure from the light novel/anime series “Zero no Tsukaima” ( ゼロの使い魔 ). Will be released in March 2019. 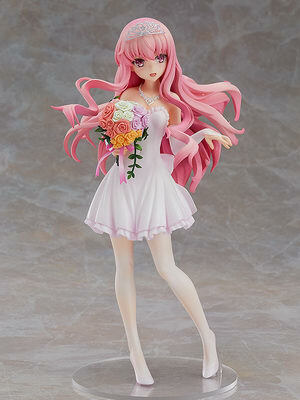 Around 220mm tall, 18,333 yen. 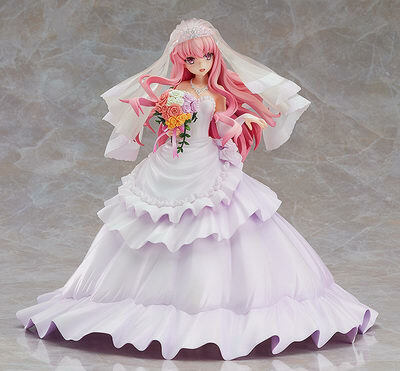 Purchases of Louise: Finale Wedding Dress Ver. 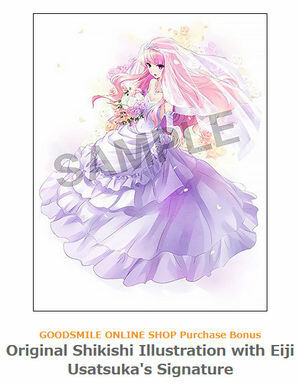 from the GOODSMILE ONLINE SHOP will include a Original Shikishi Illustration with Eiji Usatsuka’s Signature as a bonus! The bonus will be sent at the time your product is ready to ship. Designs shown here is for illustrative purposes only. The final product may differ. 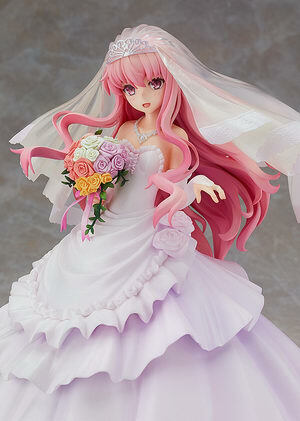 The second figure to join the collaborative project between KADOKAWA and Good Smile Company! 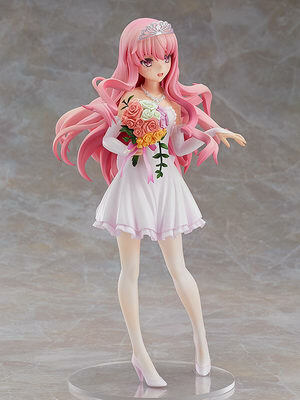 From the popular light novel "The Familiar of Zero" comes a 1/7th scale figure of Louise! 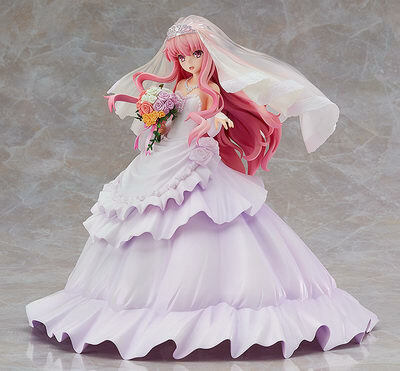 The figure is based on the cover illustration for the "Finale Zero no Tsukaima Complete Illustration Eiji Usatsuka Art Works" art book, and features Louise wearing a beautiful yet wedding dress that has been sculpted in intricate detail for a top quality figure for fans to enjoy by their side.